In RE we have been learning about belonging to groups. We talked about the groups we belong to. Some of us belonged to a football club, some went to Kids Club, some went to Rainbows. 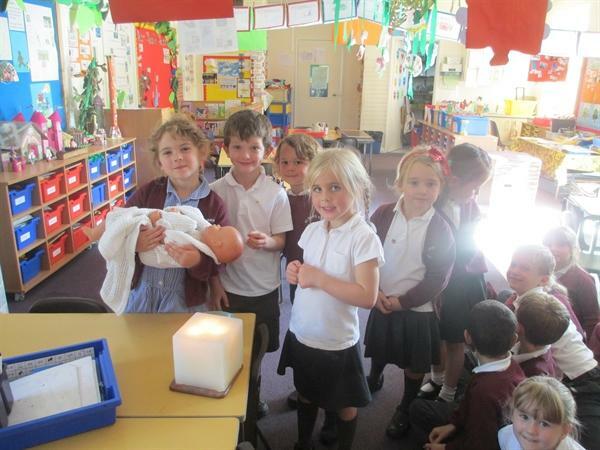 We looked at how Christians belong to the church. 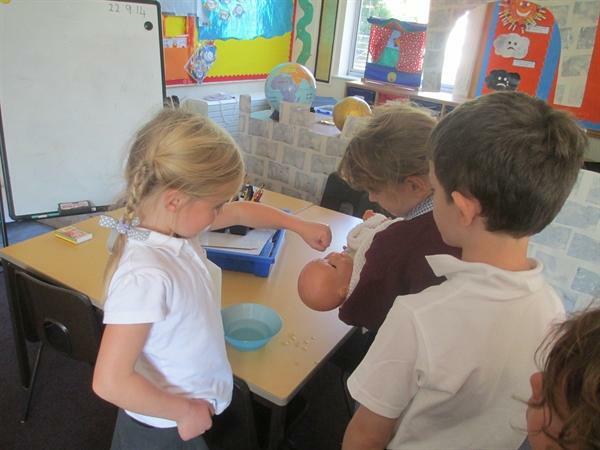 We acted out a baptism. Why is Easter celebrated by Christians? How was life in the past different? 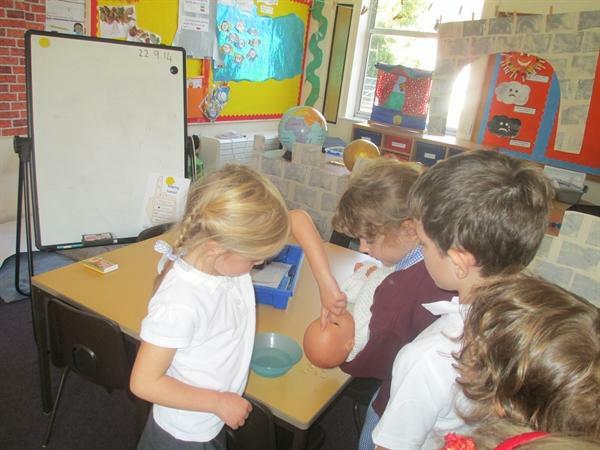 We are having lots of fun exploring the classroom and making new friends. P.E. We had so much fun in our new PE kits. We travelled in different ways and explored balancing and throwing and catching with the bean bags. More exciting news about the crash landing! The mystery of the crash landing has finally been solved! 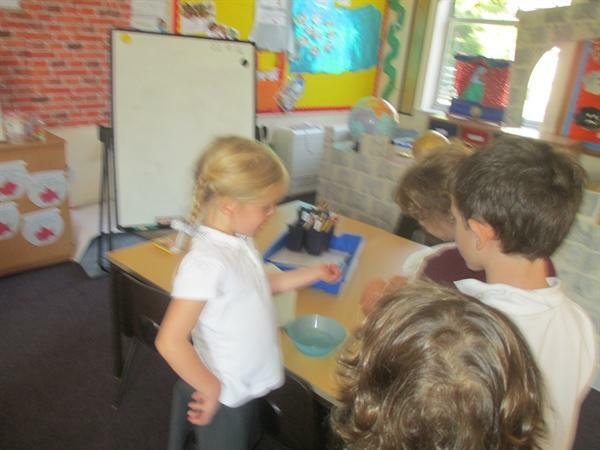 "Poo" investigation.... what animal is it from? More three little pigs work! Children in Need and our friendship bracelets! Making our own El Salvador crosses. Why do we have seasons? 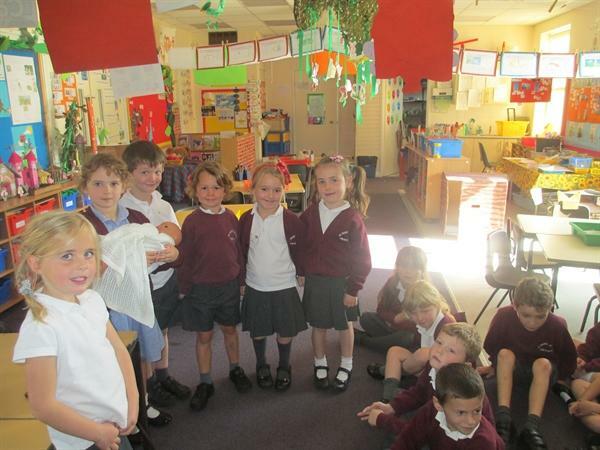 Yellow class had lots of fun building snowmen last week! We learnt about how to keep ourselves safe when we go on the internet. We enjoyed looking at your children's wonderful projects about Africa and have started learning our new story Handa's Surprise.